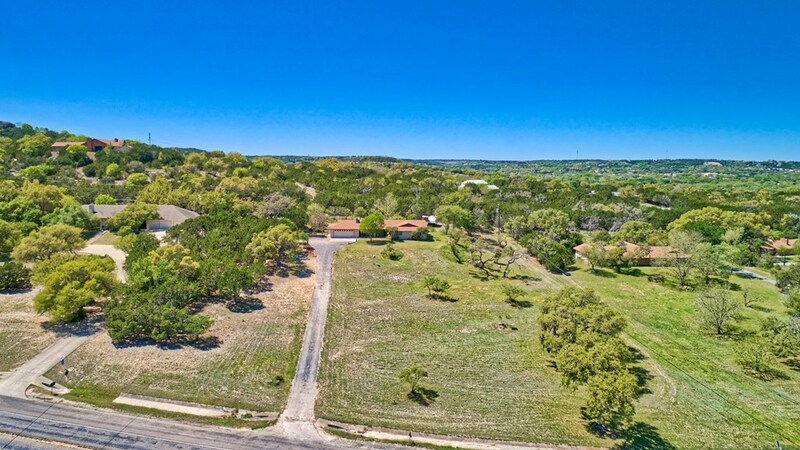 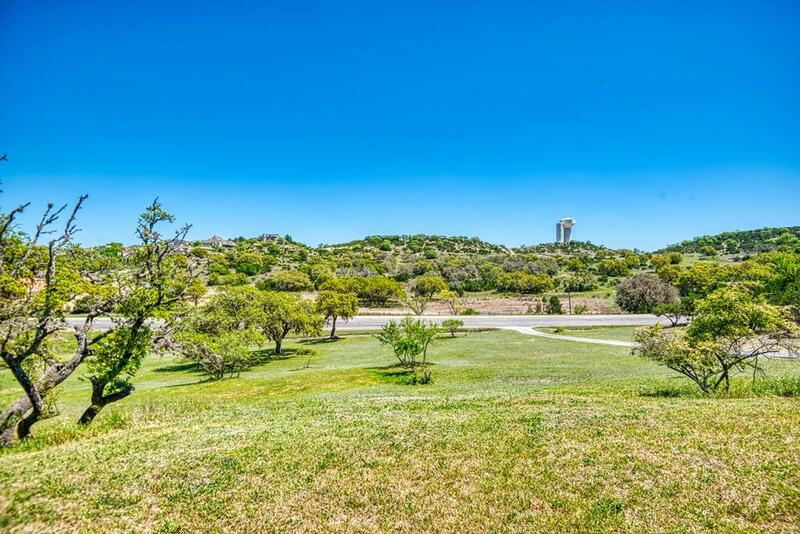 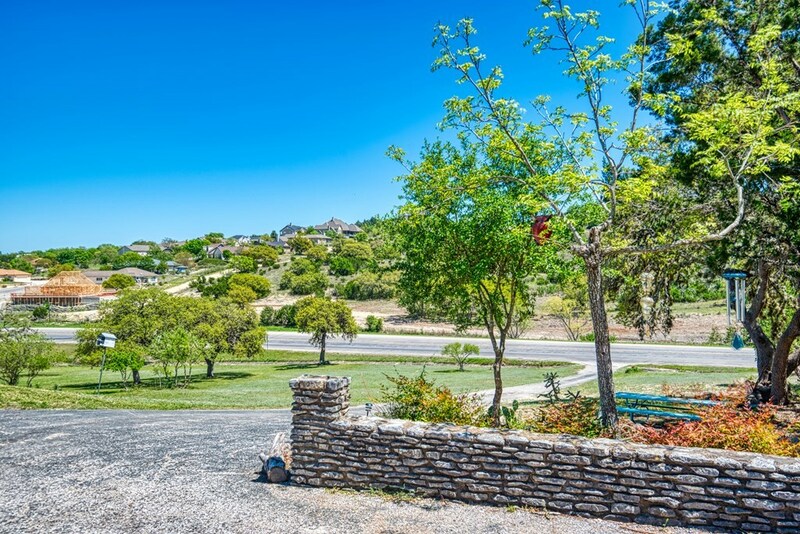 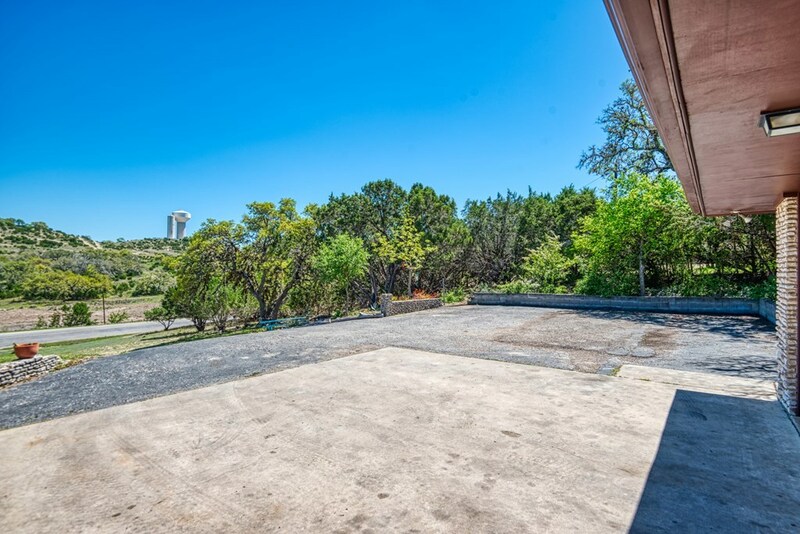 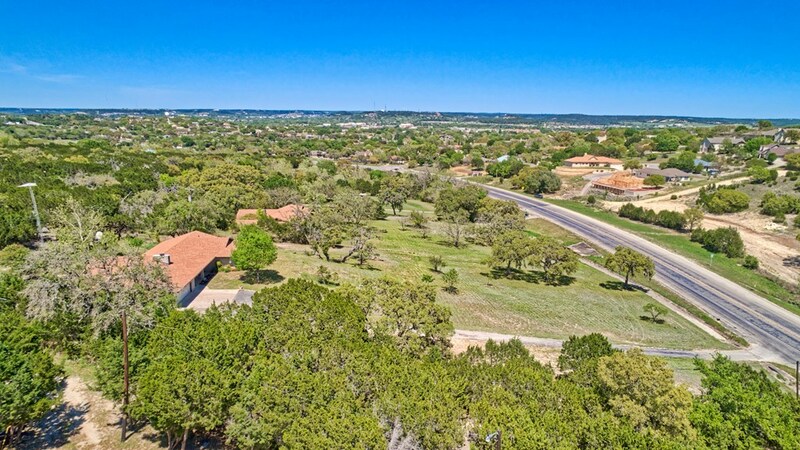 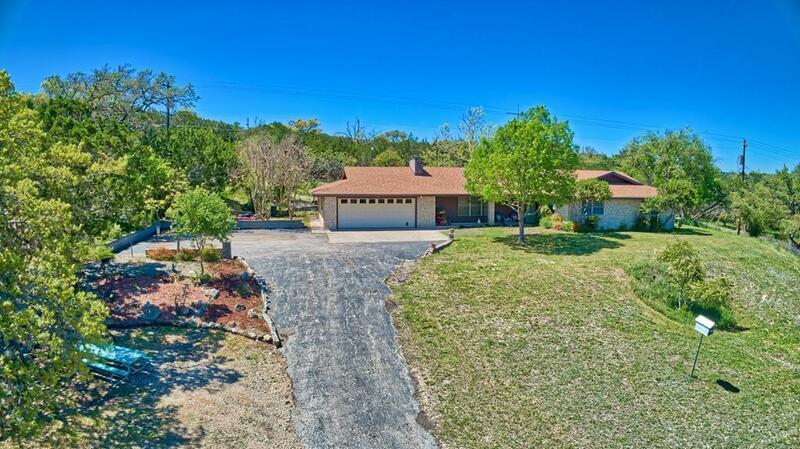 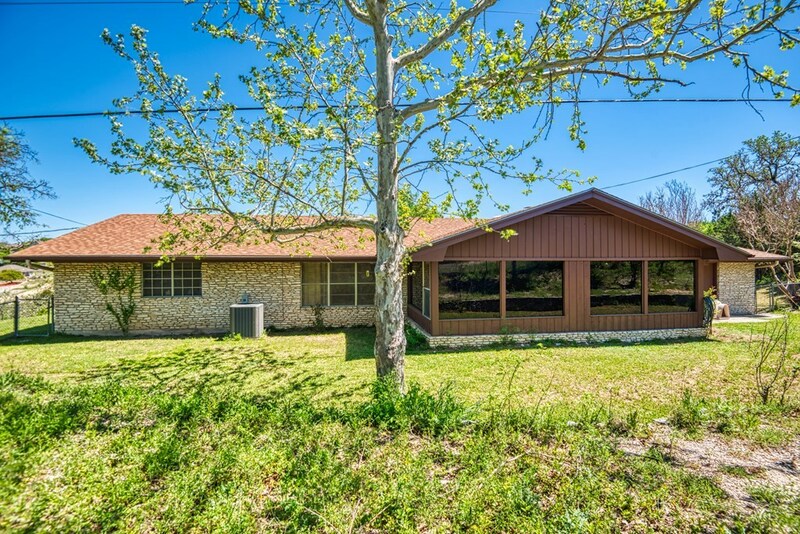 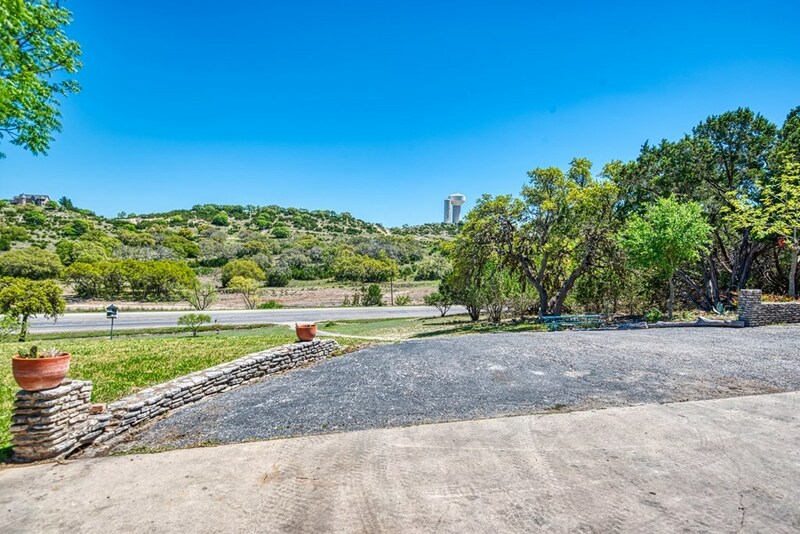 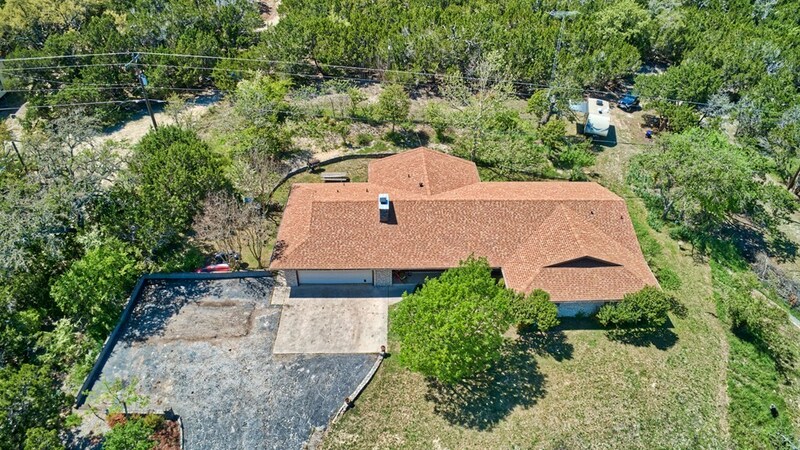 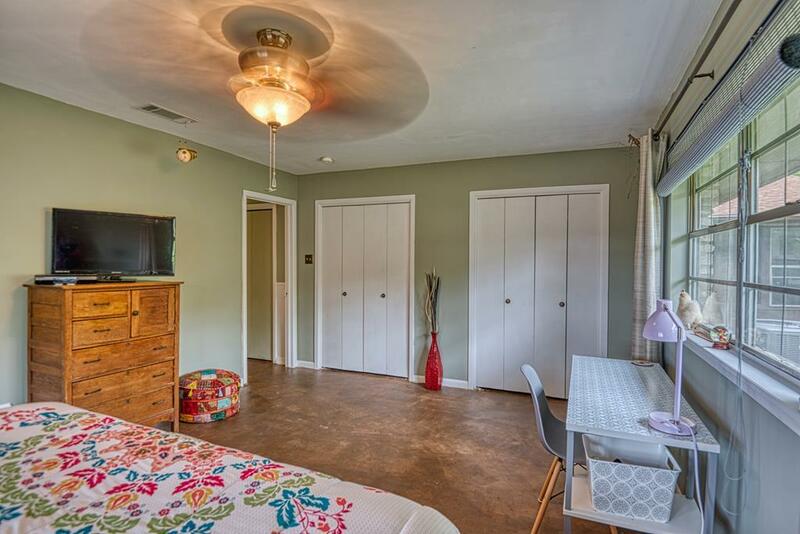 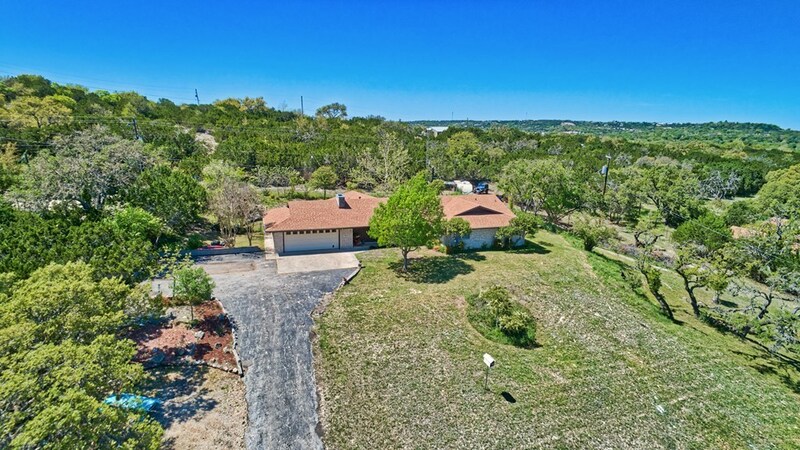 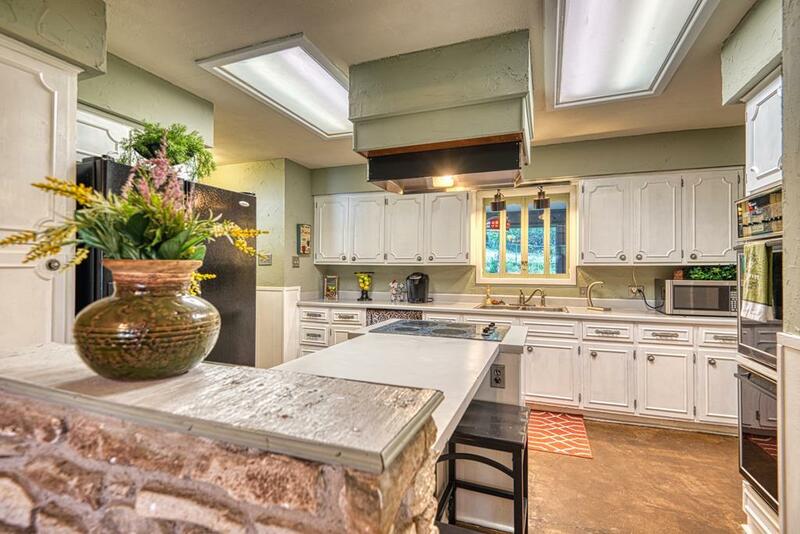 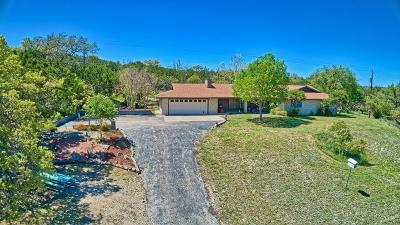 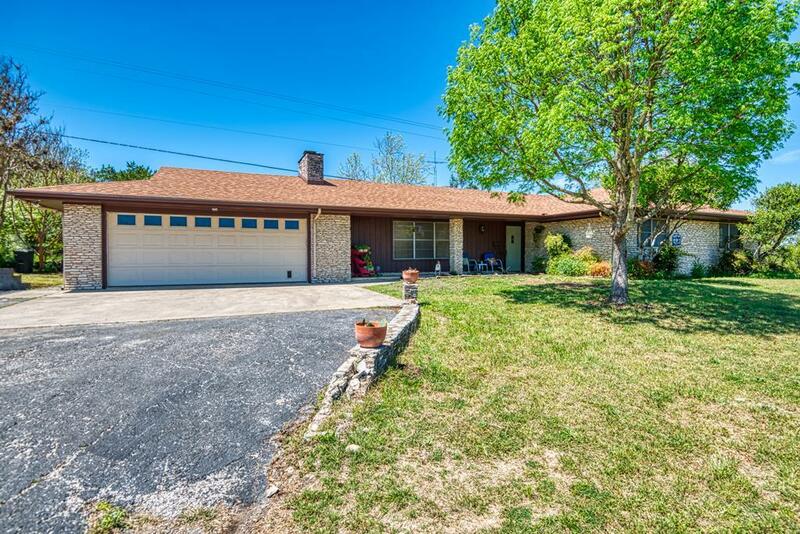 Just a couple miles on a hillside south of Kerrville lies this quintessential Texas Hill Country Ranch style home on 2.01 acres. 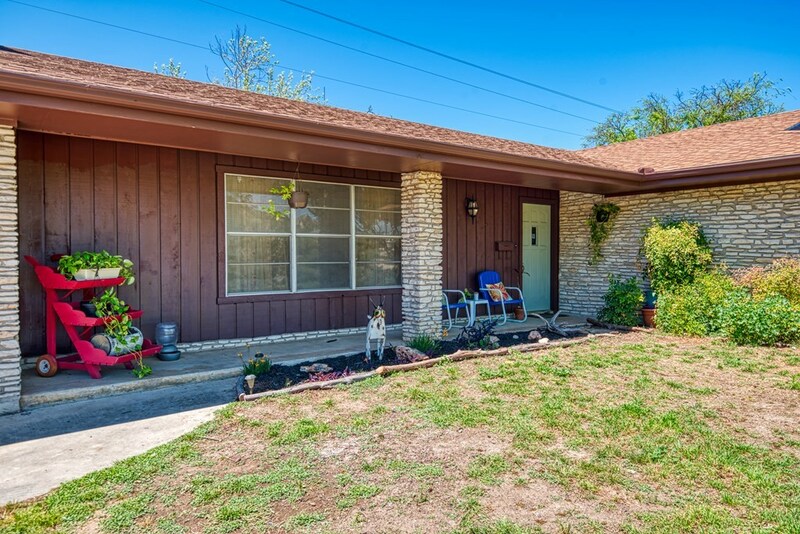 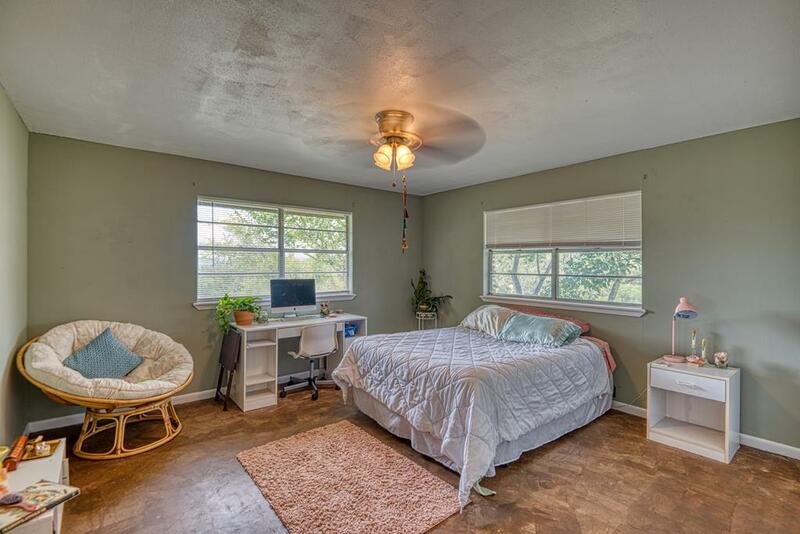 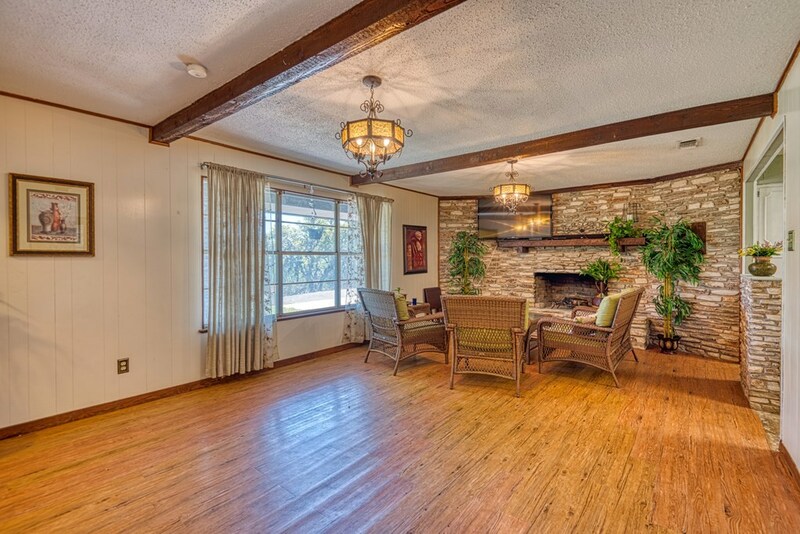 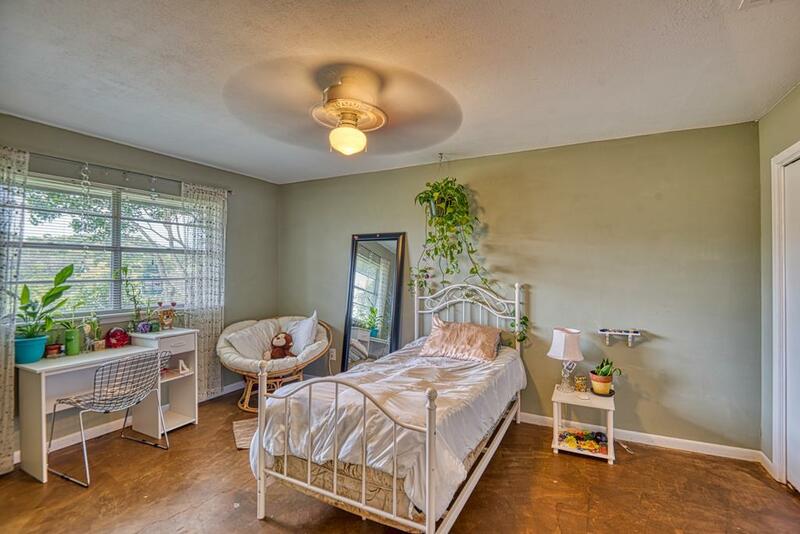 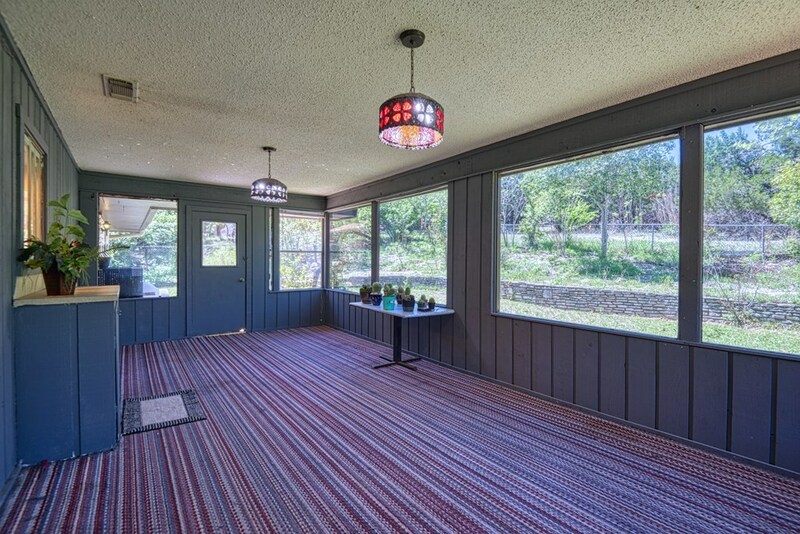 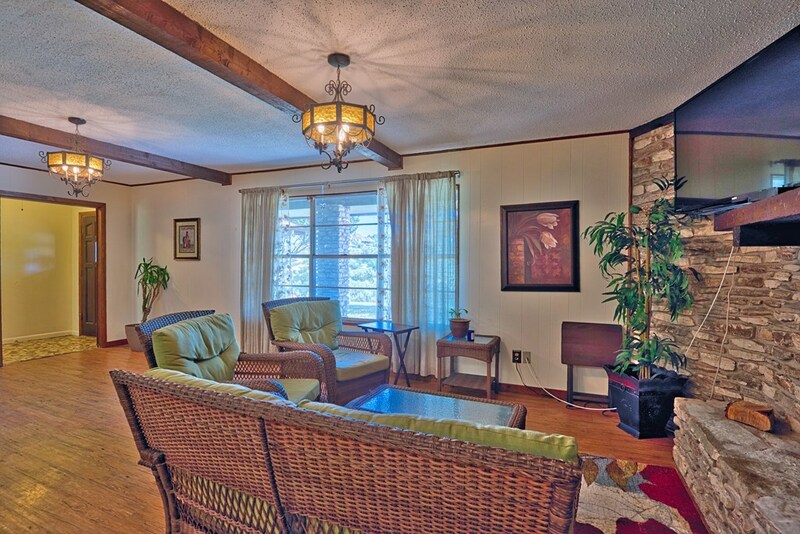 There is plenty of space to spread out in with 3 bedrooms, 2.5 baths, 2 living areas plus a Sunroom, Upon entering one is greeted with a spacious den that features a stone wood burning fireplace, beam adorned ceiling, a window that overlooks the beautiful hills. 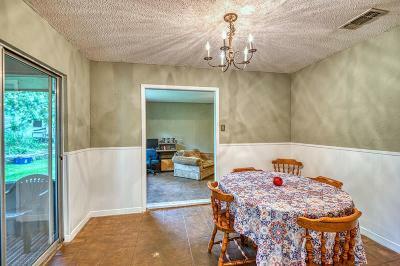 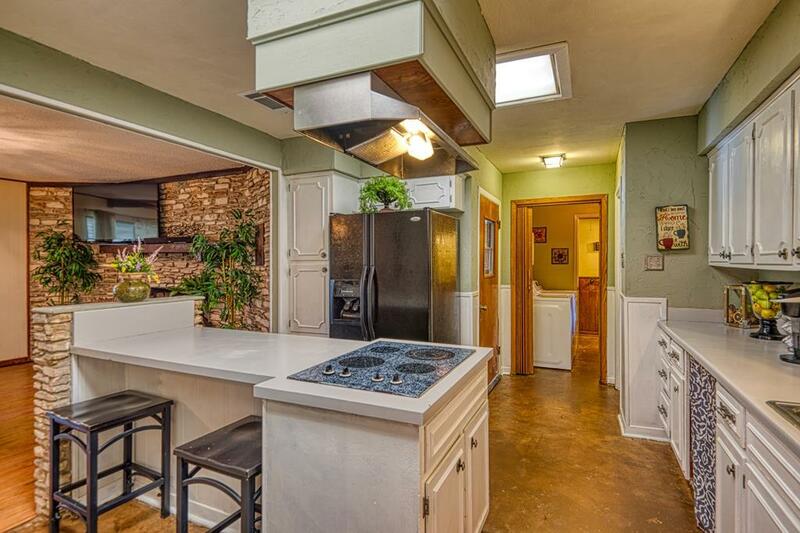 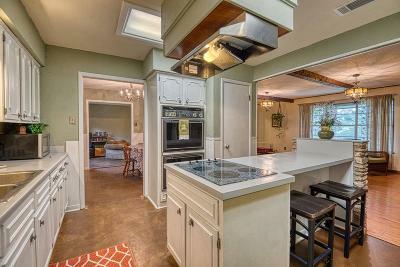 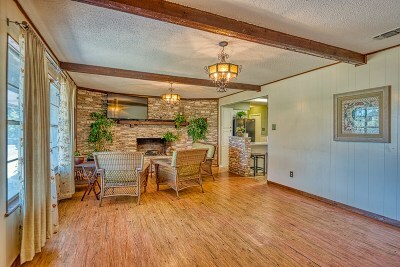 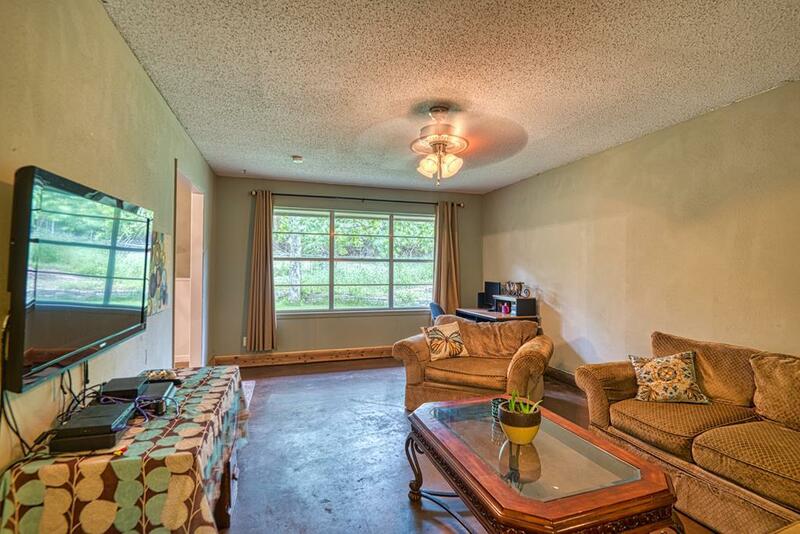 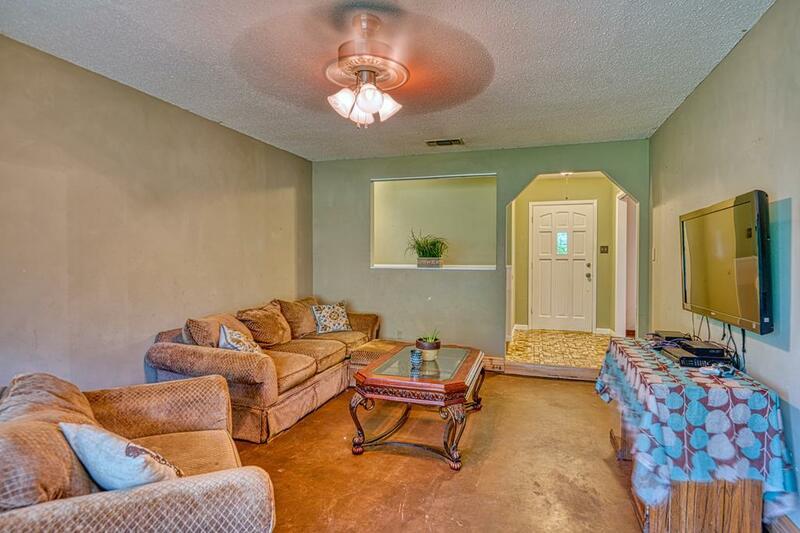 The kitchen is open to the den and formal dining room, it has a really neat bar for dining on the go. 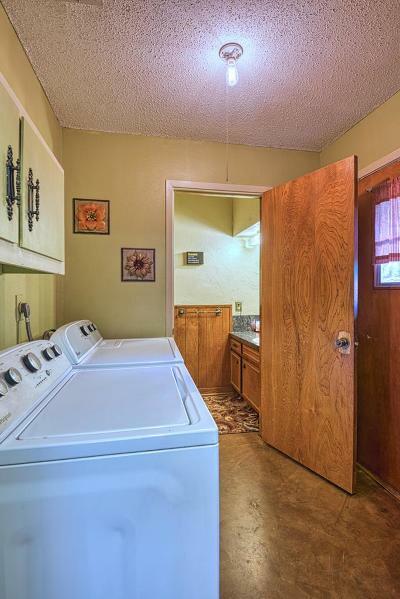 The utility room is situated right between the garage and the back door and has a half bath for guest and for cleaning up between out door task. 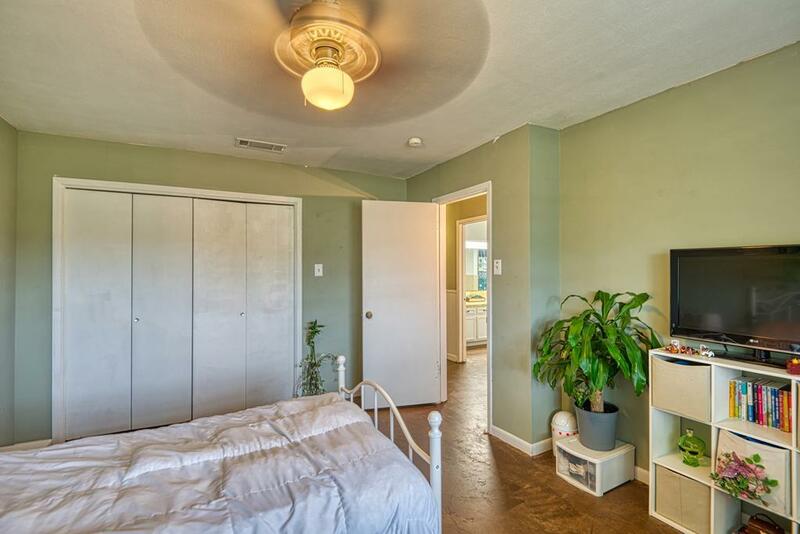 The bedrooms all located down a private hallway away from the living areas. 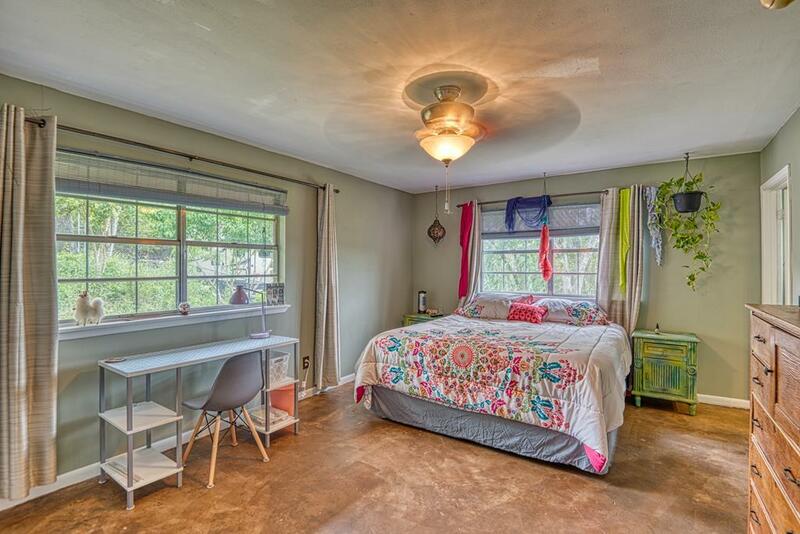 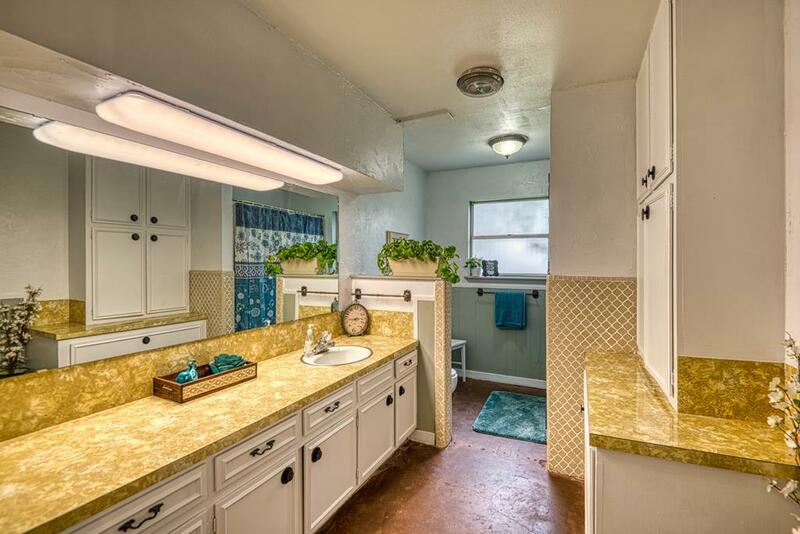 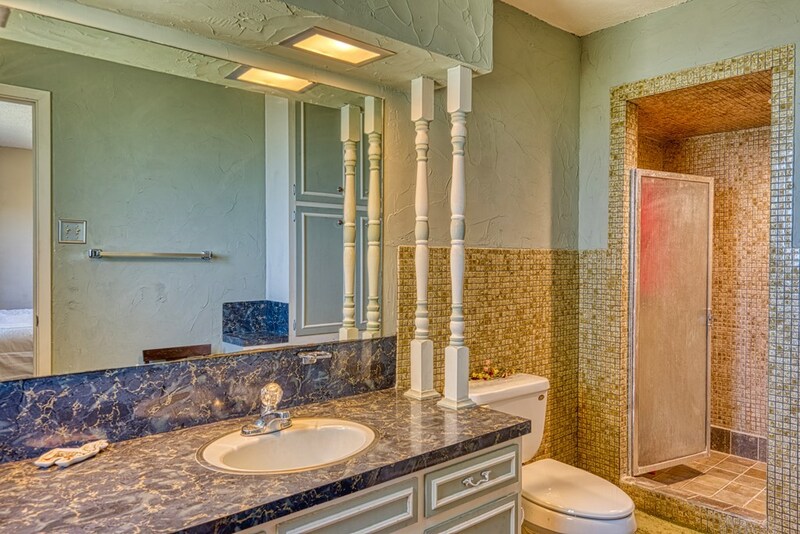 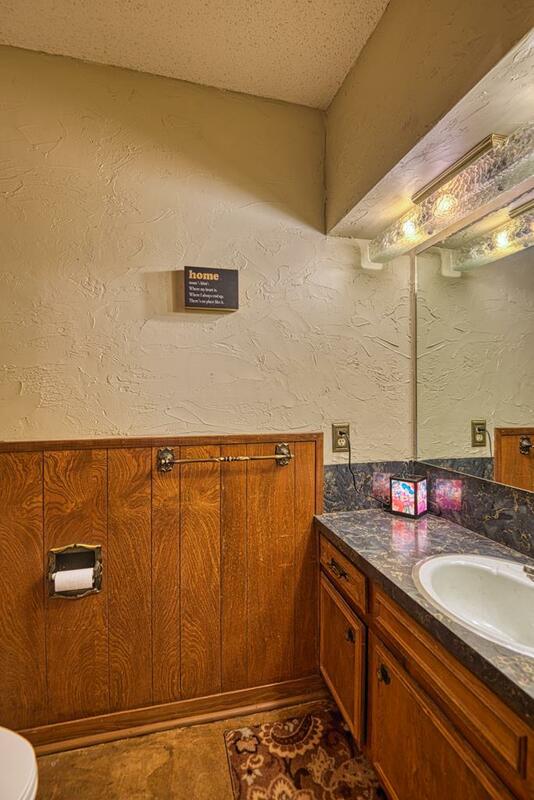 The Master Bath has a walk-in floor to ceiling tiled shower. 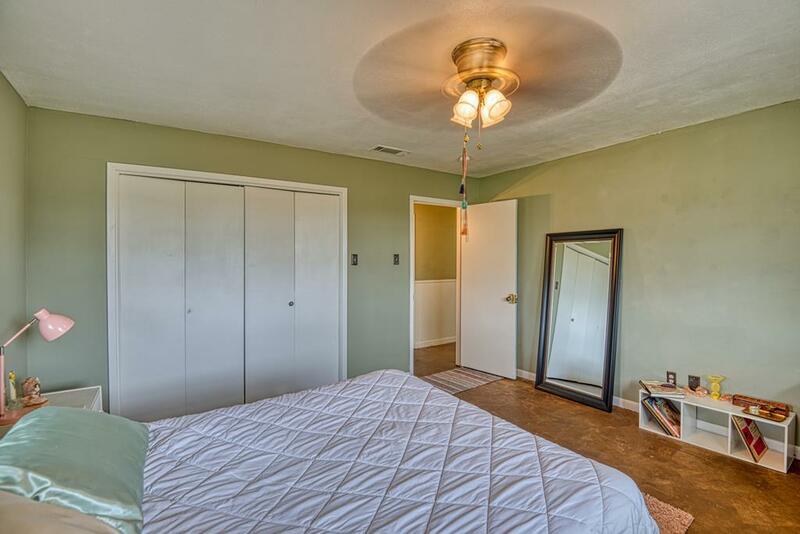 Bedroom 2 Dimensions: 11'2" x 15'5"
Bedroom 3 Dimensions: 13'11" x 14'2"
Den Dimensions: 14'3 " x 23'6"
Dining Room Dimensions: 9'11" x 11'10"
Kitchen Dimensions: 12'5" x 13'6"
Living Room Dimensions: 13 x 19'2"
Master Bedroom Dimensions: 12'9" x 17'5"
Other Room Dimensions: 12' x 25'6"
Utility/Laundry Dimensions: 5'6" x 6'10"